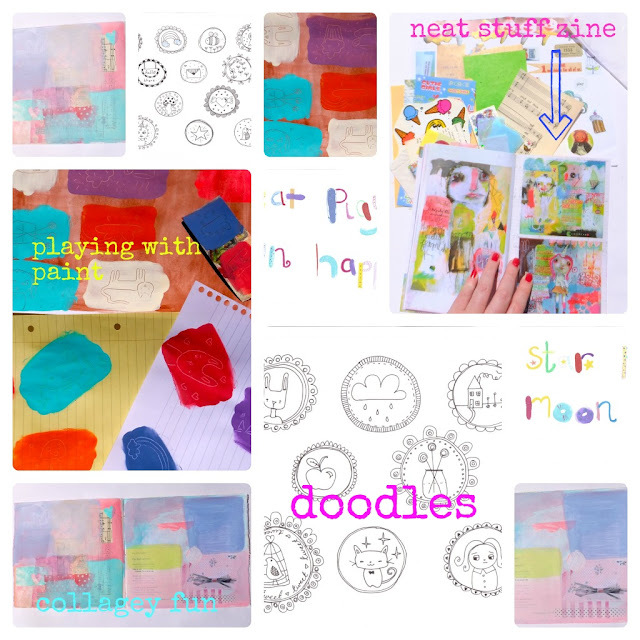 At the moment I am taking part in the online workshop "Neat Stuff: a nostalgic journalling adventure" with Mindy Lacefield. I love Mindy's art - remember when I took part in her Mail Art Swap? Anyway, so i am loving this course. Every morning I wake up to a new task to complete - exciting! I love having these tasks drop into my mailbox every day and since we are working on things in stages and I don't know what is going to come next I can't over think it! Yippie! Are you trying out anything new at the moment? What do you do to bring fun into your day?